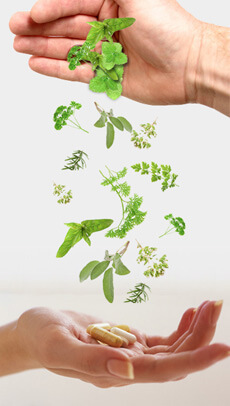 Naturopathic doctors at MEDICUS treat most conditions. Specialisation in a wide range of the significant modalities allows a unique platform in which to view, test and treat a presenting patient. Naturopathic medicine grew out of alternative healing systems of the 18th and 19th centuries, but traces its philosophical roots to the Hippocratic school of medicine (circa 400 BC). Fundamental principles adhered to by the practitioners at MEDICUS are the inherent power of Nature to heal; to identify and treat the cause of an illness; to treat the whole person; and that prevention is the best cure. Many easily treatable conditions will frequently progress to significant disease parameters because appropriate preventative measures are not understood or employed. Nutrition is the backbone of naturopathic medicine. By changing our diets and adopting a healthy lifestyle, we can often change or reverse the course of an illness and restore health. At MEDICUS the emphasis is on building health rather than treating disease. Care is taken to procure all vital details of the patient’s history including current use of or thodox medications. The results of any prior testing procedures are viewed as very relevant to the patient’s presenting health status. If further testing is required samples may be sent away to be analysed by a medical testing laboratory. At MEDICUS all testing procedures are regarded as important because they give precise scientific parameters in order to treat the patient specifically and progressively. Please click on the link below to retrieve your New Patient Medical History Form. To make an appointment or to ask how we can help you, please call 9851 6600 or use the Appointment Enquiry Form located on our homepage. For your first appointment we ask you to arrive 15 minutes early to fill out a medical history form. If you are running late, we appreciate a quick courtesy phone call as it will affect appointments following yours. We suggest you allow at least one hour for your initial visit. For future visits, we suggest you allow 30-45 minutes, unless otherwise specified by your practitioner. We understand that sometimes, life circumstances may make it difficult to keep your appointment. In the interest of fairness to us and other patients, please provide 24 hours’ notice if you are unable to make it to your appointment. This allows us to accommodate other patients who also require our services. For cancellations with less than 24 hours’ notice or missed appointments, you may be charged the full appointment fee.